The Democratic mayor of New York, Mr. Bill de Blasio, was blasted online for botching the remembrance ceremony of last year’s terror attack on Halloween which killed 8 people. One of the victim's representatives even refused to shake the Mayor’s hand afterward. Last year, in a vehicle ramming attack, an Islamist terrorist killed 8 people as he drove a rented pickup truck into cyclists and runners for about a mile of Hudson’s river park’s bike path. To pay his respects to the victims of the event, the city of New York had organized a short remembrance ceremony which was botched by several mistakes. 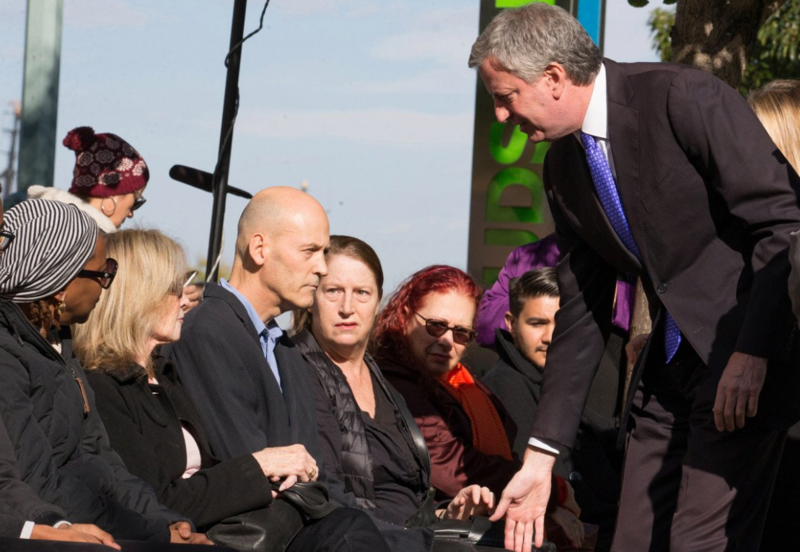 Secondly, despite managing to read aloud the names of all the politicians that had shown up, Mr de Blasio forgot to read the victims names during the ceremony, only referring to those killed as “eight good lives lost”. I am not surprised at De Blaso's callousness. Wholly political with complete disregard for the victims and their families. Imagine what HRC & the Dimms almost brought to America. Power, this is what they still want. I lost all hope in the democratic party long ago. It's NOT the "Democratic" party. It's the Democrat party. NOTHING Democratic about it.